Headlines Live is a live journalism event from The Arizona Republic and azcentral.com. 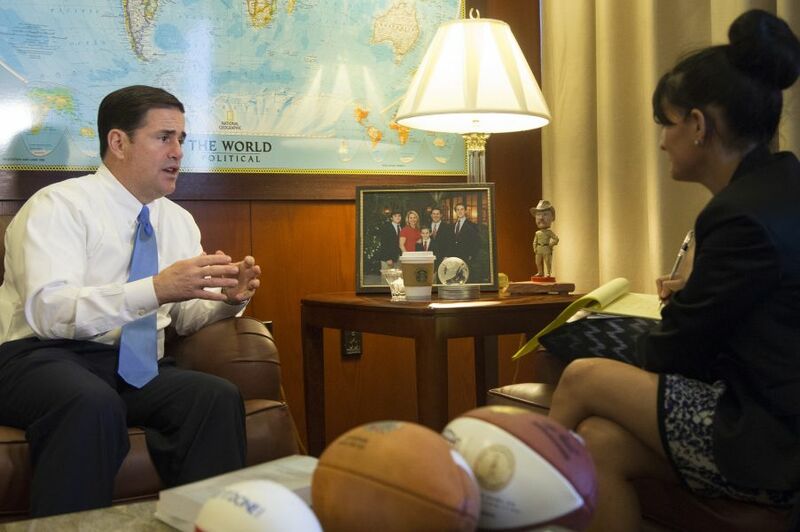 Hear Governor Doug Ducey in conversation with Republic politics reporter Yvonne Wingett Sanchez as he reflects on his first year leading the state and prepares for the upcoming legislative session. Republic politics editor Michael Squires will emcee the night. After the conversation, you'll have a chance to participate in a Q&A with the governor. Headlines Live take the words and visuals first published in The Republic and goes deeper. Public officials, policy makers and newsmakers explain the work account for your tax dollars, and responding to your needs, live and on the record. The night is free to attend with registration. Light snacks and beer and wine available for purchase. Thank you for joining us for Headlines Live! Event check-in starts at 6 p.m. Program begins promptly at 6:30 p.m.